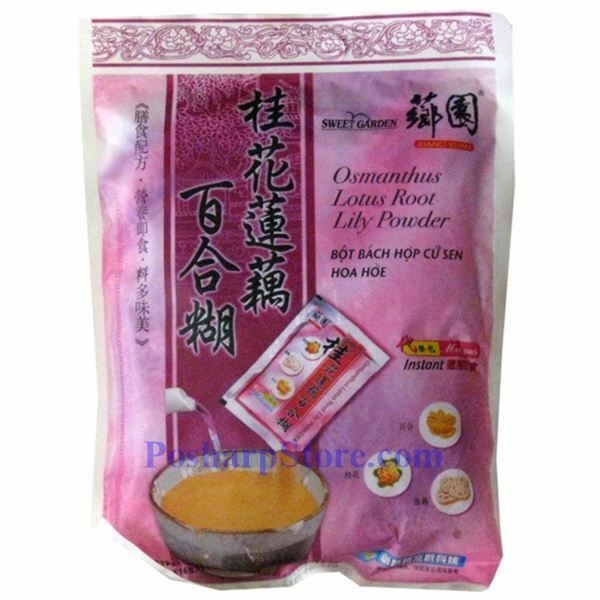 This instant cereal is made from high quality lotus root with lily bulb and osmanthus(sweet tea olive). It can be consumed with hot water or added into milk, soybean milk, juice, etc. as you like. 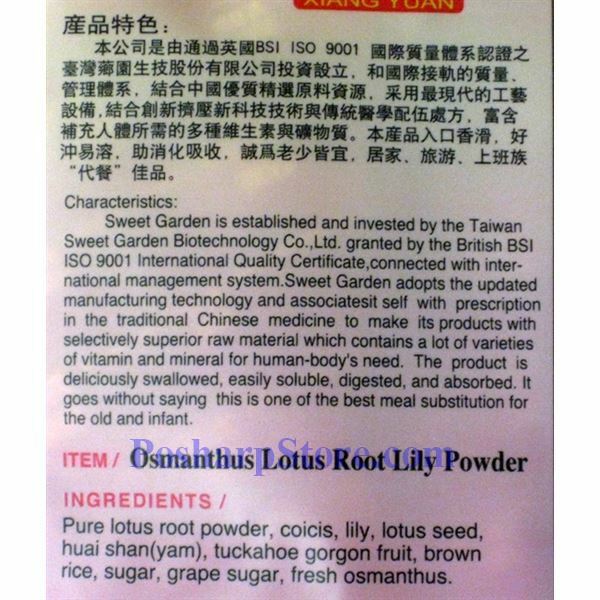 Weight：18 oz or 512g, 16 packs.